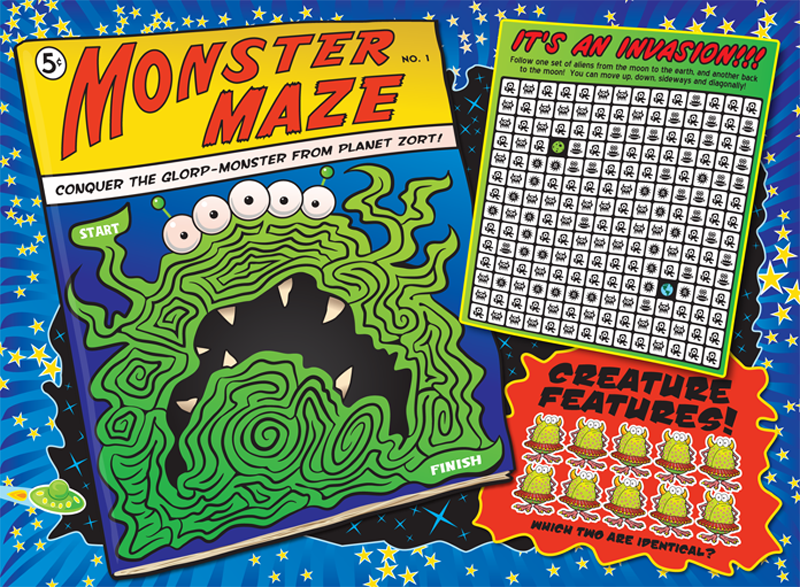 One of our fun projects for this year was a series of mazes to be used in a Mazes Mats book for Publications International. 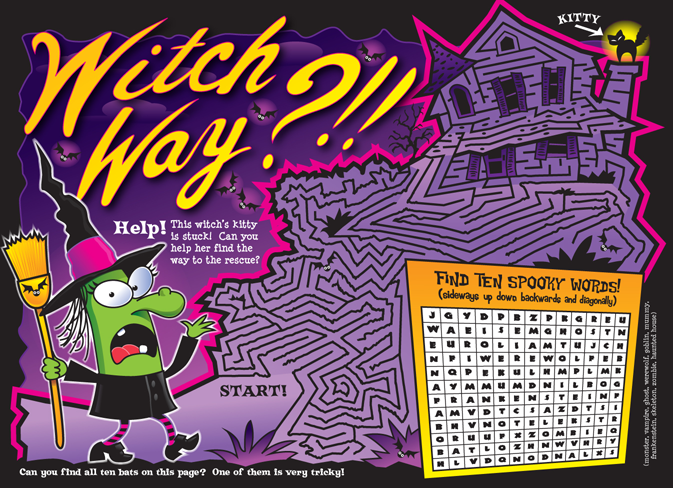 Geared for children 4 and up, Larry Jones illustrated mazes that were kids placemats for fun on the run! 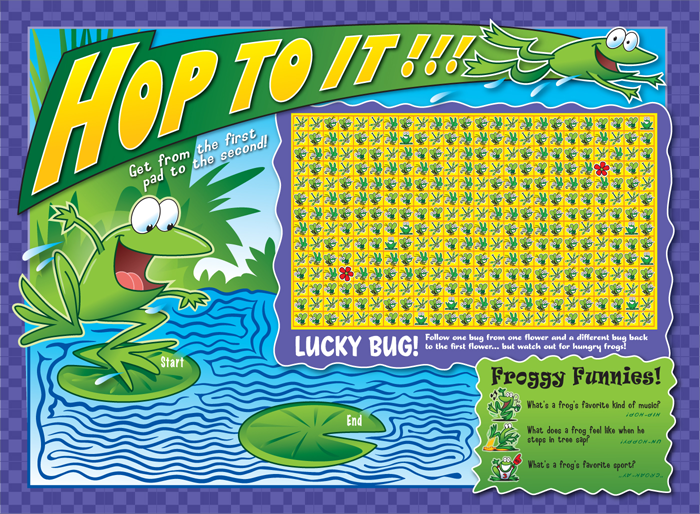 Designed as easy-tear pages, kids could use them as “boredom busters” to take anywhere – in the car, to a restaurant or waiting room – wherever they choose! 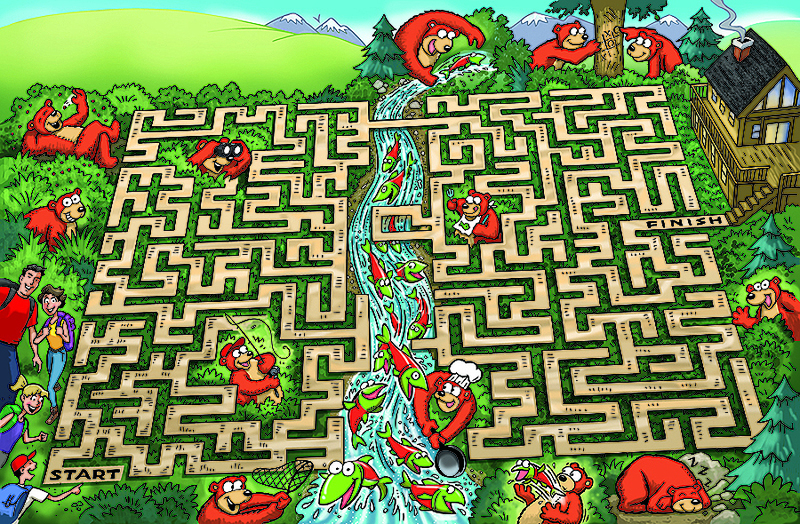 Here are a few of the mazes that Larry created. Lyn’s airbrush illustration can be seen in children’s books, posters, puzzles, cd covers, and educational materials. 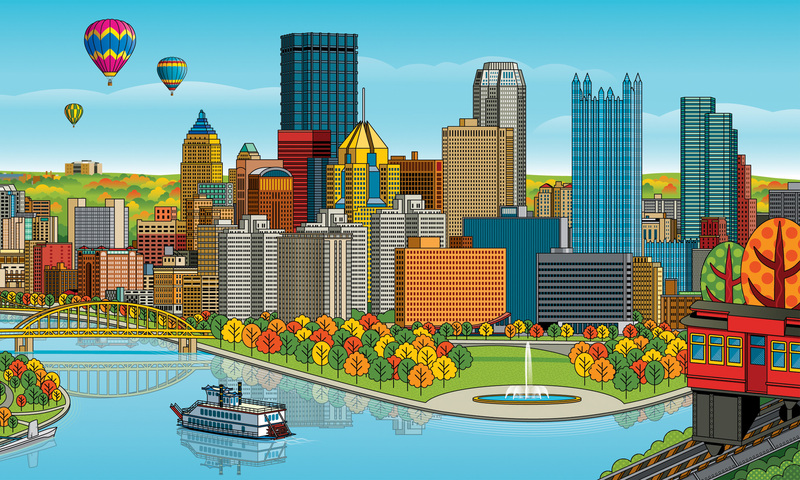 She works in all areas but specializes in the children’s market – particularly children’s books and educational textbooks.